I just got a google alert about this review. 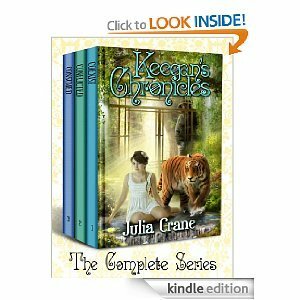 I wanted to thank you for taking the time to read and review Keegan’s Chronicles. I also wanted to let you know that I am continuing the series through spin off books. Anna will be released next week! I’m also planning on writing a book on Lauren, Thaddeus (when he’s 18), and Keara. Glad to hear you enjoyed the series! I can’t wait to read Anna, I loved her quirkiness and I am hoping that Tommy will be in it. I am sure there will be some Rourk and Keegan as well. I am pretty excited for all those books, I was wondering if Thaddeus would find out who his chosen is. I am sure he already knows though. Thanks for letting me know, I will be getting Anna as soon as it is available on Nook.